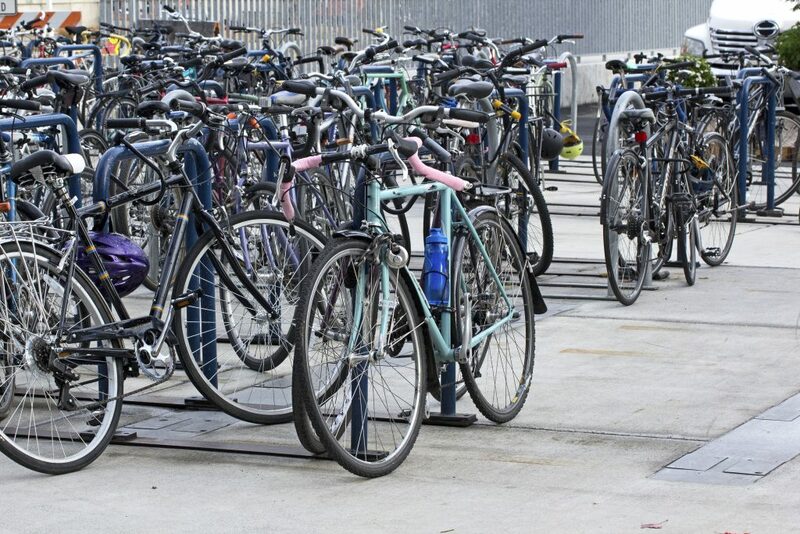 ELLESMERE PORT residents have been bemoaning the theft of bicycles around the town for many months, with seemingly no end in sight. The Chester Bugle can now exclusively reveal the reason behind the theft; it is to make the next big mode of transport to sweep the Port – the Trolley-Bike. Ellesmere Port has held a long-time love affair with the humble shopping trolley, with every home in the Port having at least one trolley in the garden. Trolleys are treated as family cars to some, with two or three-trolley families being the envy of their neighbours. Now some enterprising Portie has created the Trolley-Bike, and it’s the ‘must have’ gift this Christmas. 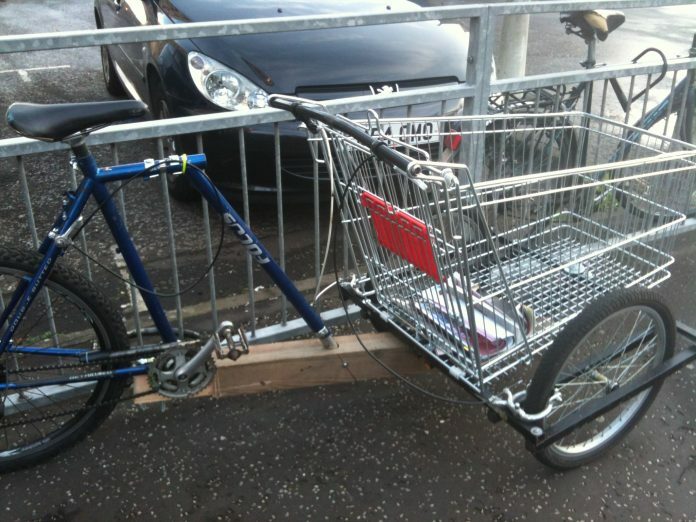 The Trolley-Bike is made from a shopping trolley at the front, and a stolen bicycle at the back. 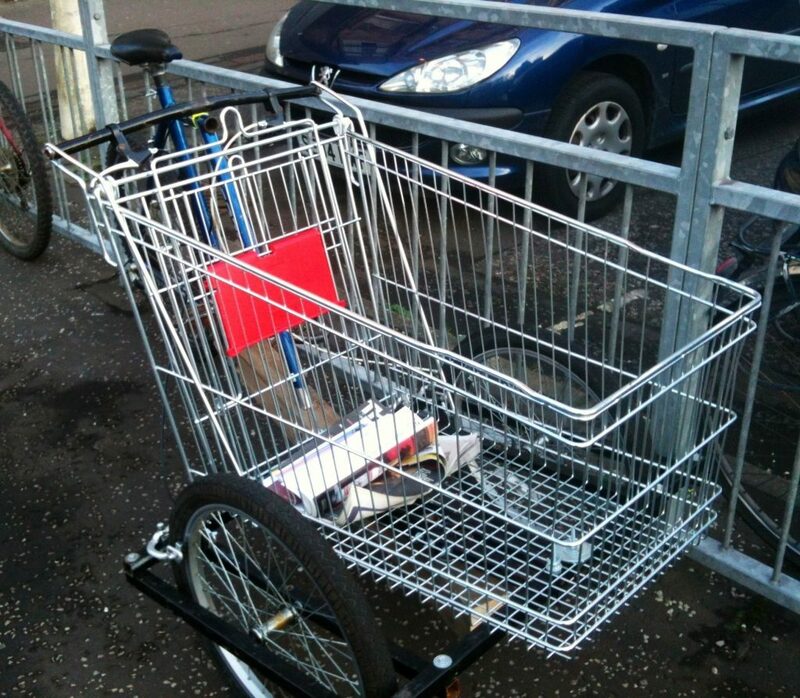 Lazy shoppers can pedal their trolley to and from the supermarket, and can even ride it around Lidle or Asda without any issues. Both supermarkets have already announced they’re to allow the Trolley-Bike to be ridden in their shops. At this time Sainsbury’s has made no comment on whether they’ll allow the Trolley-Bike in their stores. I’ve been nicking two or three bikes a day since September. It’s a mad time for me. Everyone wants a Trolley-Bike and I’m struggling to keep up with demand. The EPSV. There’s loads of them just left outside. Some aren’t even locked. Clive admitted it’s actually harder to come by trolleys than it is bikes. People are a lot more protective of their trolleys, especially since the town won that modern art grant for trolley installation art. If you’d like a Trolley-Bike this Christmas, you can request one from Clive by asking in the Facebook group Pride in the Port. Just tag Clive and he’ll DM you with the details. What do the Bugle’s readers think about the Trolley-Bike? Are you a fan? Will you get getting one for Christmas? You sure you haven’t made a mistake here!? I’ve been searching and searching and searching, but I just can’t find Clive Jenkins! Did he go into hiding!? Help me out here! I’ve been wanting a Trolley-Bike since my bicycle mysteriously disappeared! Got nothing else to ride around now! Didn’t like it, but thanks. Got to appreciate people like you telling us little guys where our stuff’s going. I have found who the real perpetrator for the case is. Since I lived nearby, I went ahead and staked out the lot. And you know what? It was some guy in a big red costume with white fluff on the rims. And guess what else I found out? I found out that Clive Jenkins is not real. So, who is the most likely to be that guy with a strange case of dressing up like Santa? That’s right. You’ve guessed it. The one who wrote the blog. And who wrote the blog? The criminal is Darren. He has been stealing bikes whilst dressed up as Santa, and blaming a fictional person online.